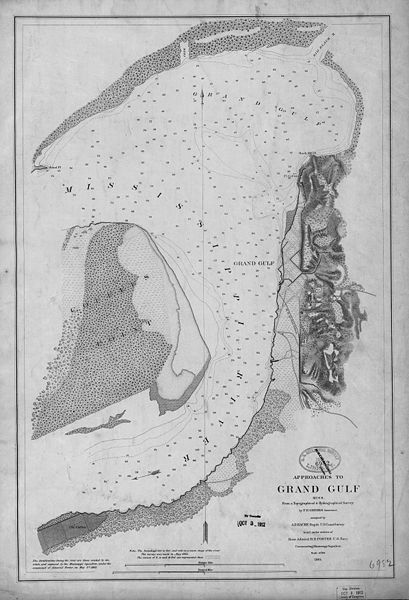 The Battle of Grand Gulf was fought on April 29, 1863, during the American Civil War. 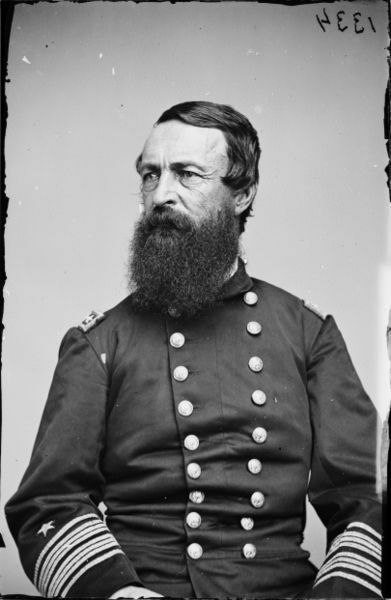 In the Vicksburg Campaign of Maj. Gen. Ulysses S. Grant, Union naval forces under Rear Adm. David D. Porter led seven ironclads in an attack on the Confederate fortifications and batteries at Grand Gulf, downriver from Vicksburg, Mississippi. Although the Confederates withstood the Union bombardment and prevented infantry from landing against their fortification, the victory was only a minor setback to Grant's plan to cross the Mississippi River and advance against Vicksburg. 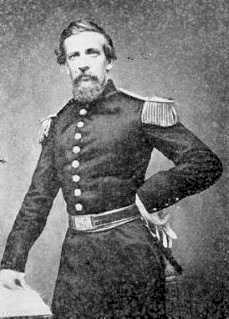 Description: Rear Adm. David D. Porter led seven ironclads in an attack on the fortifications and batteries at Grand Gulf, with the intention of silencing the Confederate guns and then securing the area with troops of McClernand’s XIII Army Corps who were on the accompanying transports and barges. The attack by the seven ironclads began at 8:00 am and continued until about 1:30 pm. During the fight, the ironclads moved within 100 yards of the Rebel guns and silenced the lower batteries of Fort Wade; the Confederate upper batteries at Fort Cobun remained out of reach and continued to fire. The Union ironclads (one of which, the Tuscumbia, had been put out of action) and the transports drew off. After dark, however, the ironclads engaged the Rebel guns again while the steamboats and barges ran the gauntlet. Grant marched his men overland across Coffee Point to below the Gulf. After the transports had passed Grand Gulf, they embarked the troops at Disharoon's plantation and disembarked them on the Mississippi shore at Bruinsburg, below Grand Gulf. The men immediately began marching overland towards Port Gibson. 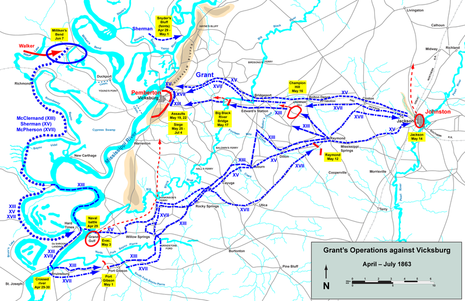 The Confederates had won a hollow victory; the loss at Grand Gulf caused just a slight change in Grant’s offensive.